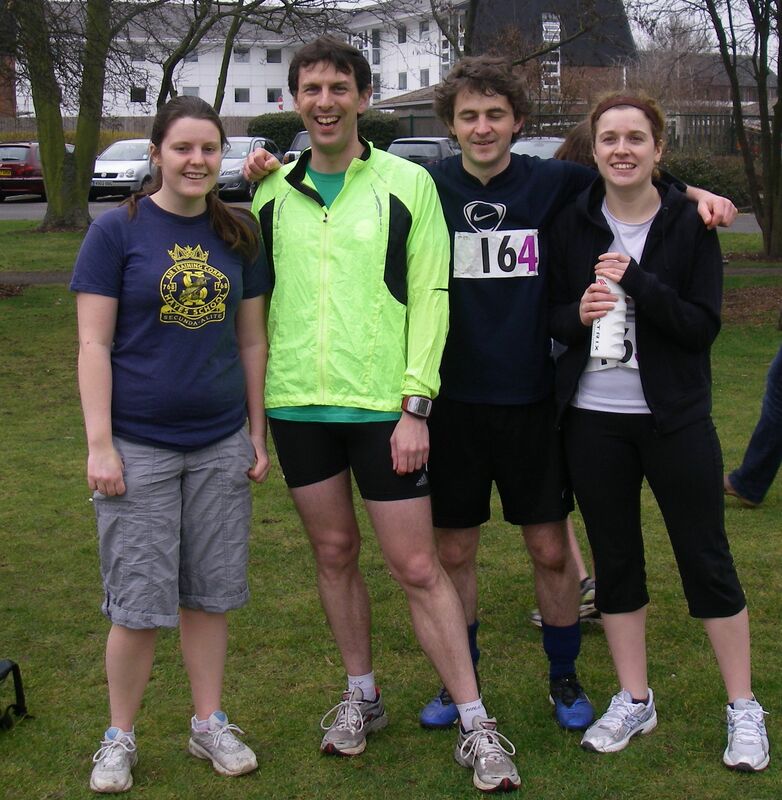 The 21st The Open University Les Irvine Memorial Relay was held yesterday (29/02/2012) and four teams from the Environment, Earth & Ecosystems department were entered amoung the 40 which took part. Run over four legs and covering a 1.1 mile course at Walton Hall it was another fun event. For the third year running a team of palaeoecologists took part. This year “Team Palaeo” comprised Hayley Keen, myself, Frazer Bird and Lottie Miller (left to right on photo) and we were the fastest finishing team from the department!